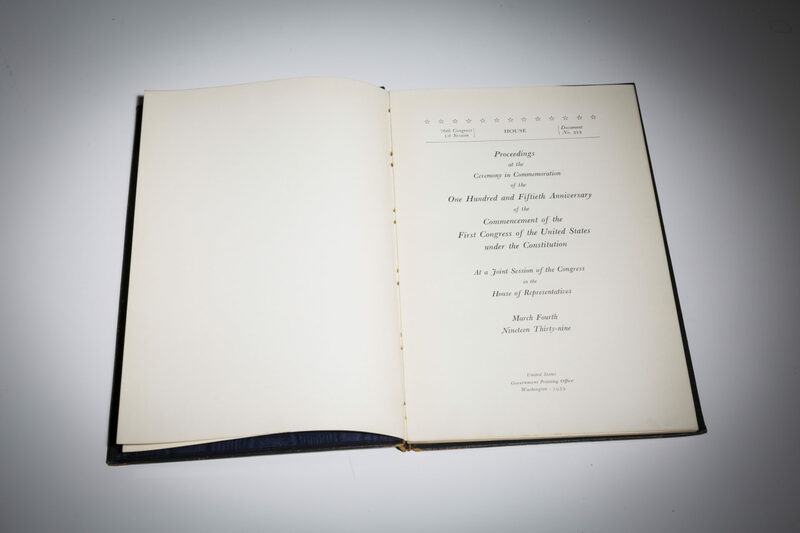 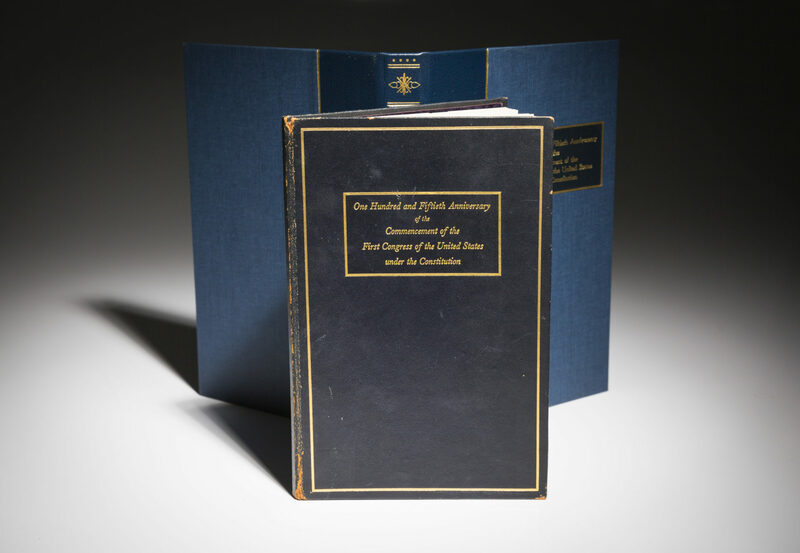 Home / New Inventory / Proceedings at the Ceremony in Commemoration of the One Hundred and Fiftieth Anniversary of the Commencement of the United States under the Constitution. 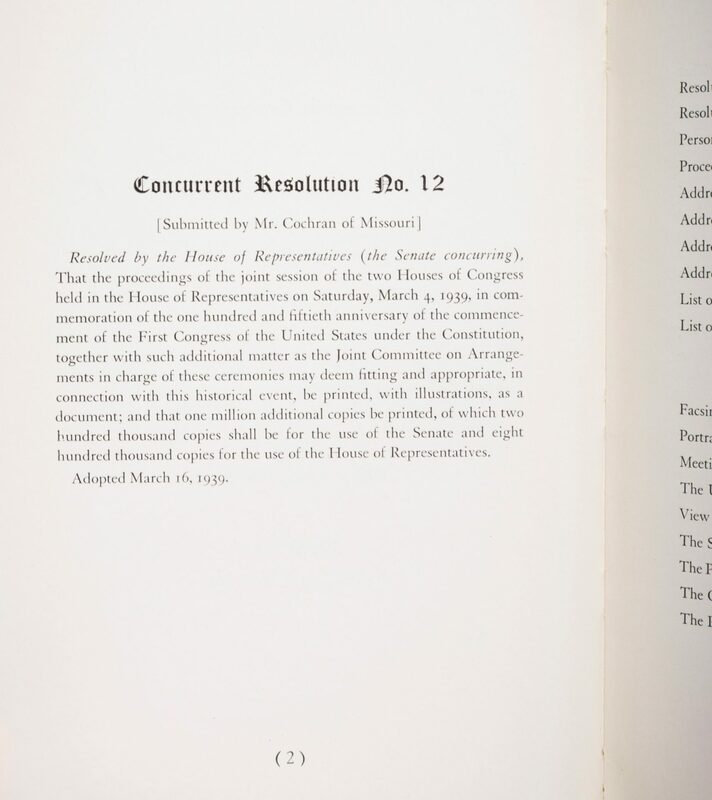 – At a Joint Session of the Congress in the House of Representatives. 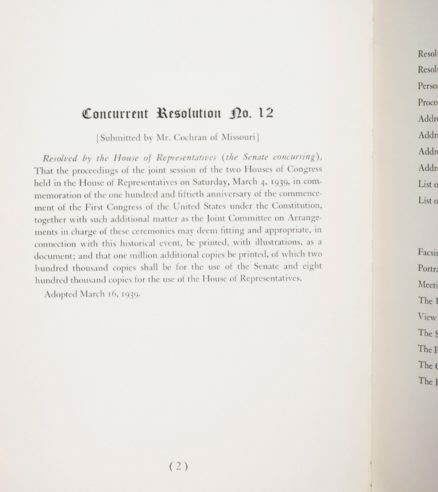 March Fourth Nineteen Thirty-nine. 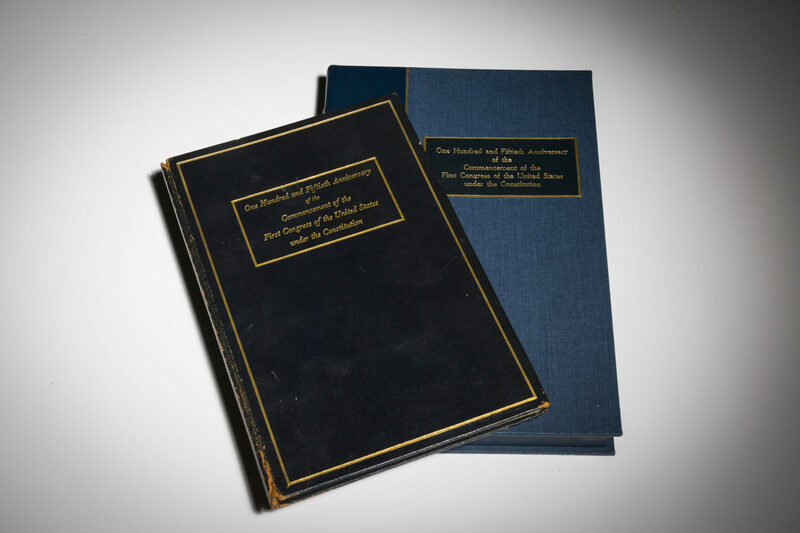 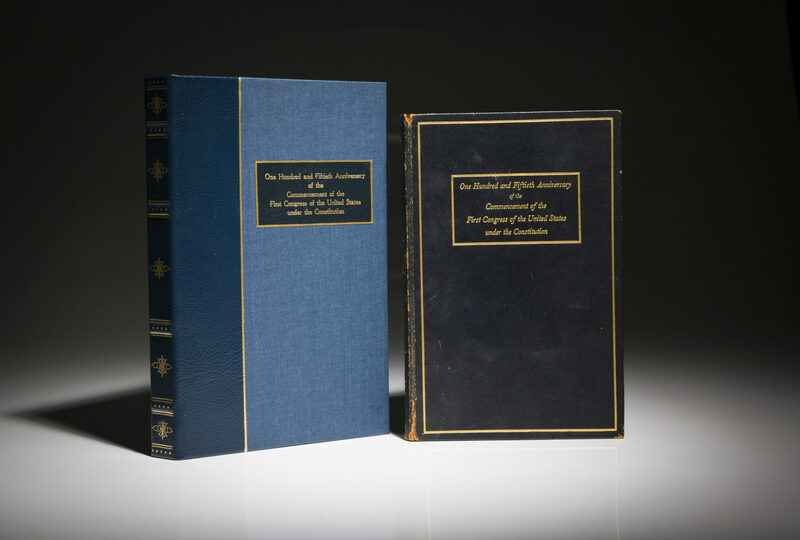 Comments: These books were presented as Christmas gifts by Roosevelt to dignitaries and members of his family. 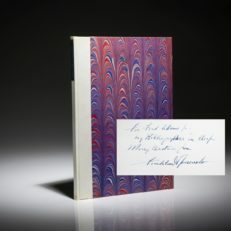 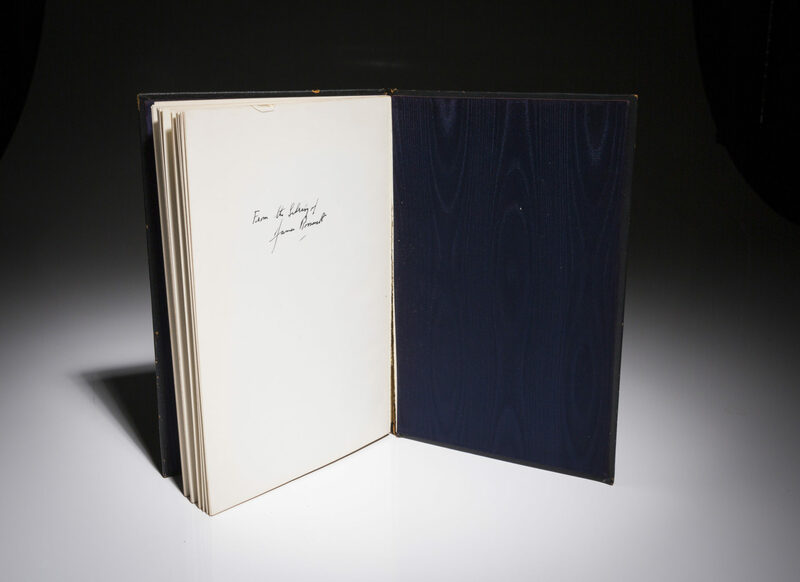 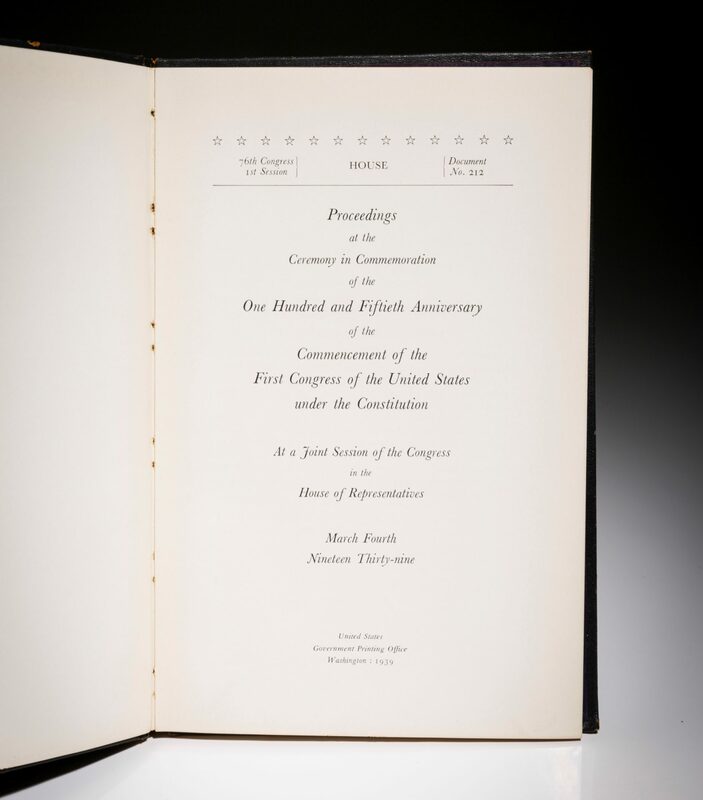 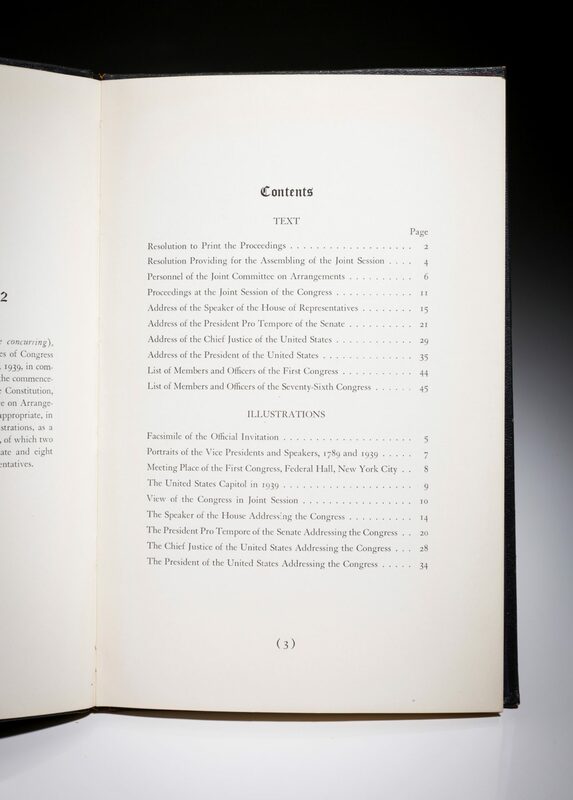 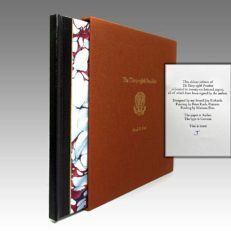 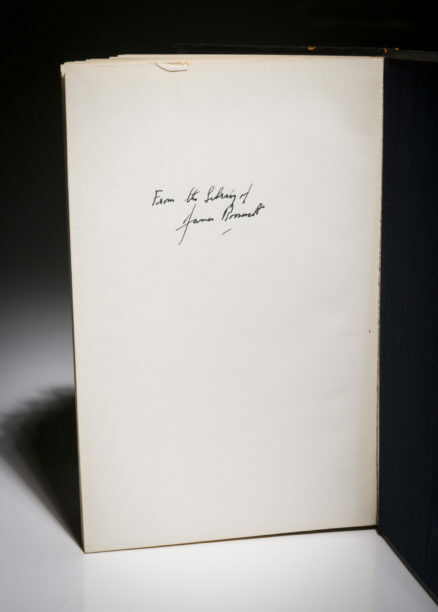 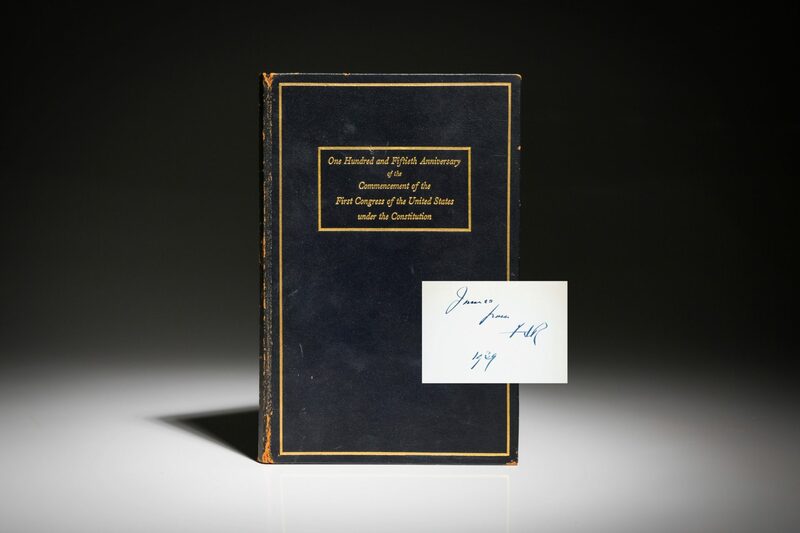 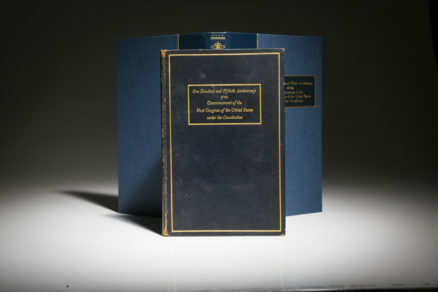 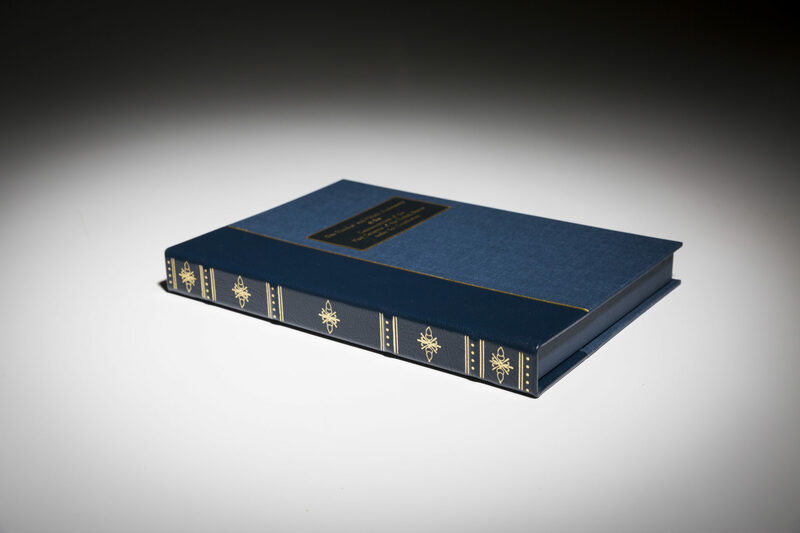 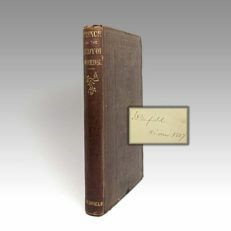 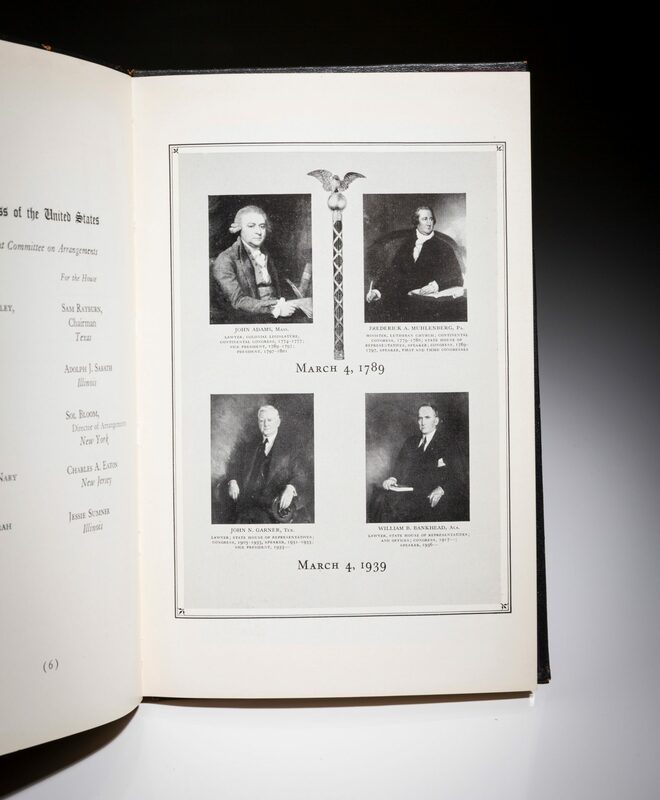 According to Ernest Halter, bibliographer of Franklin Roosevelt, it is unknown how many of this limited edition were produced, but only three have appeared at auction since 1945, all inscribed to his immediate family. 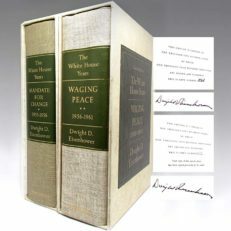 One of the scarcest of the limited edition Christmas gifts given by Roosevelt. 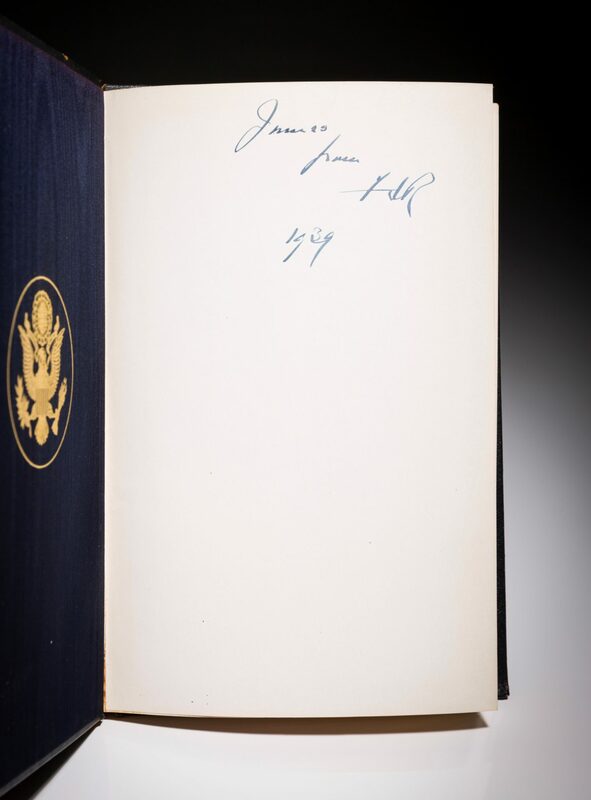 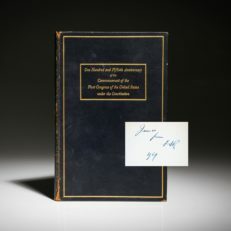 James Roosevelt, the recipient of this book, was the eldest son of President Franklin D. Roosevelt and first lady Eleanor Roosevelt. 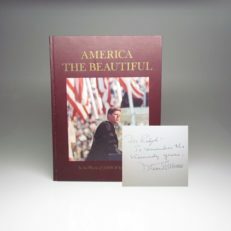 He was active in during W.W.II, serving in the Marine Corps and receiving the distinguished Navy Cross for his service. 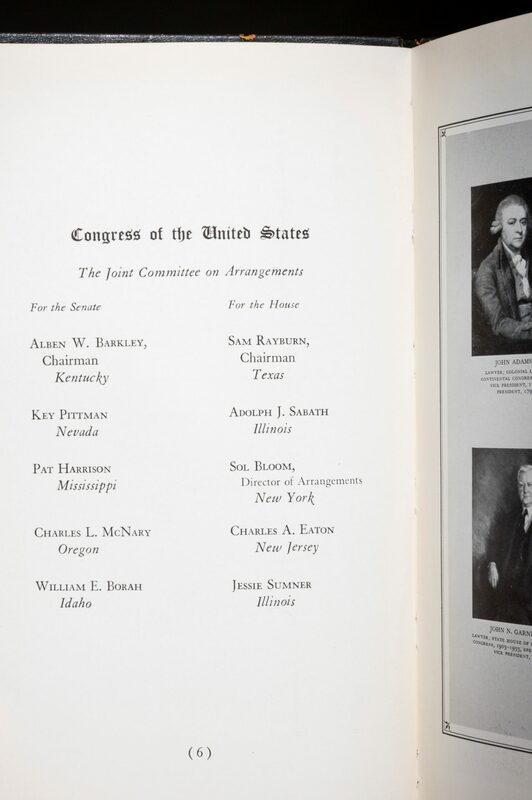 He later served in the House of Representatives, representing the California 26th District. 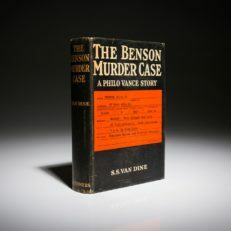 He passed away in 1991.